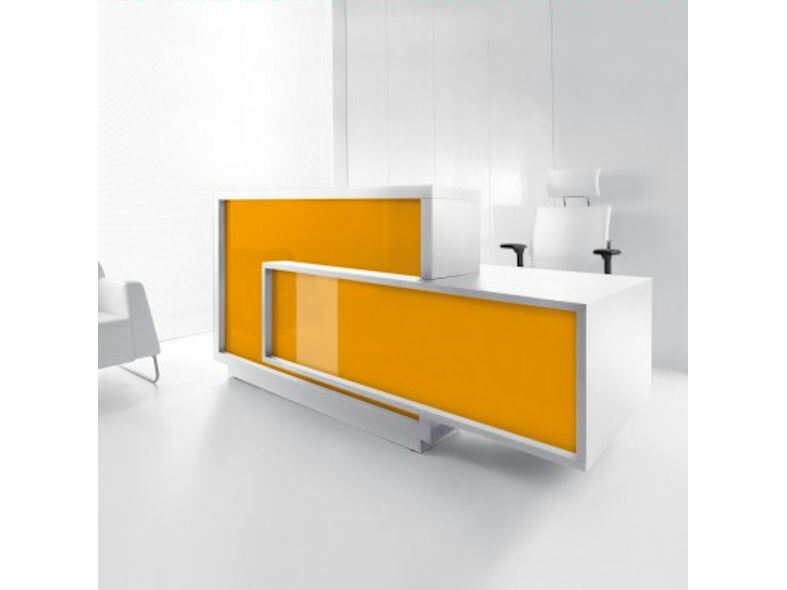 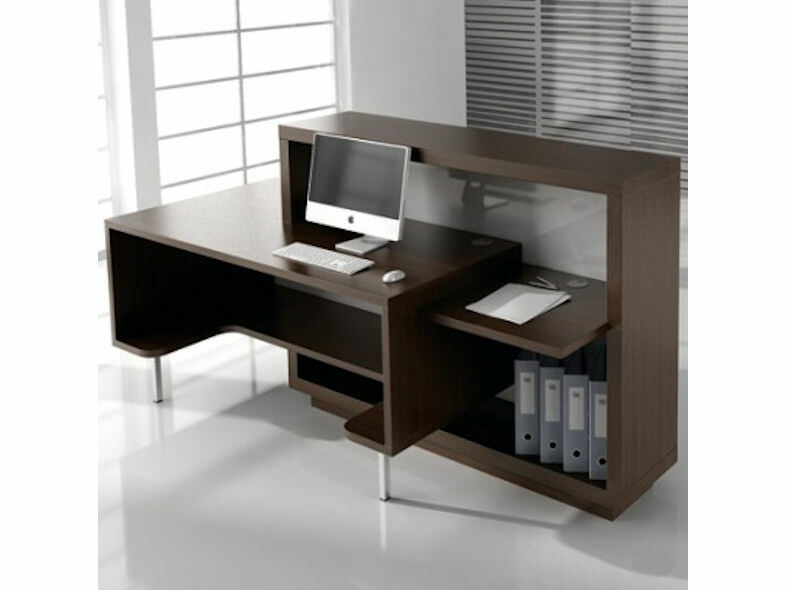 MDD Foro cubular reception desk has an internal lockable drawer, shelves and two cable grommits (1 on each internal level). 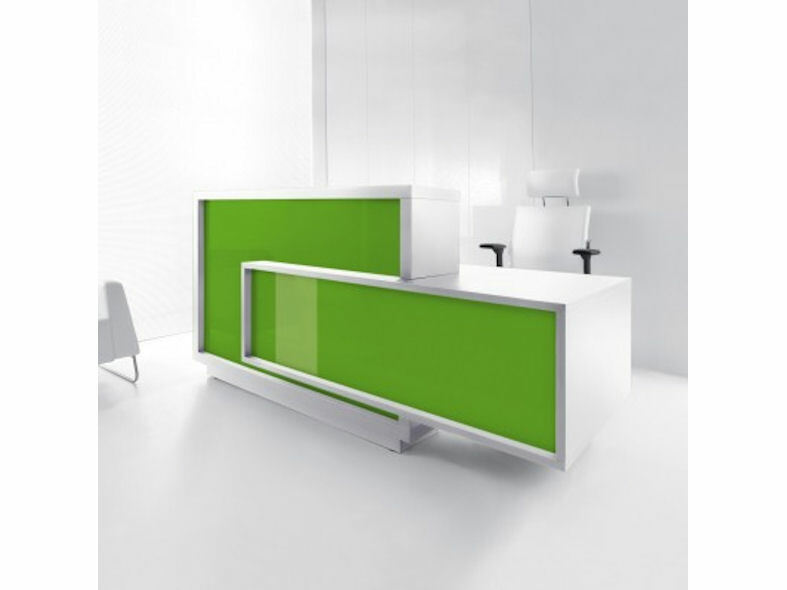 MDD Foro has two external rectangular overlapping frontal parts which are available in gloss white, green, red or orange laminate. 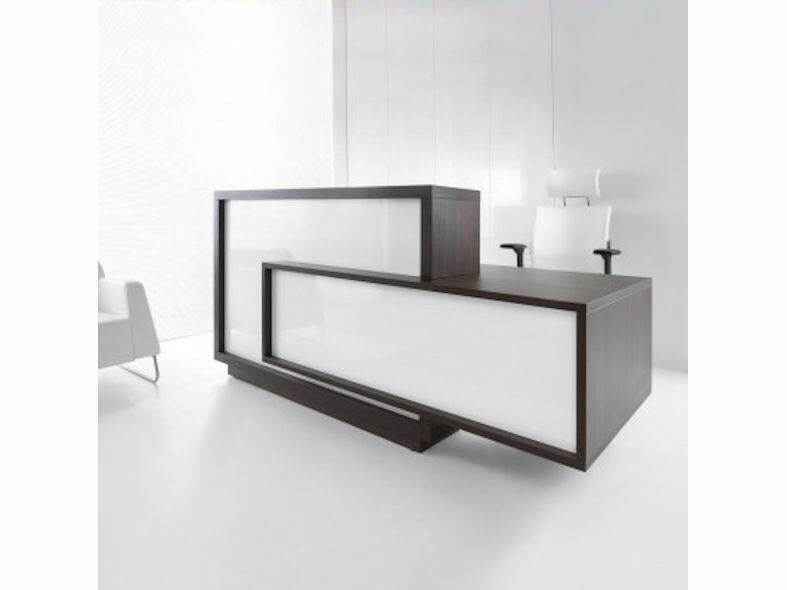 Also included are an internal lockable drawer, shelves and carcass which are available in colour options of semi matt white or chestnut laminated MDF, supported by two satin aluminium legs.